The FT is seeking a rankings manager to help manage the FT’s high profile and prestigious Business Education rankings of the world’s leading business schools. The FT business education rankings are run by a team within the Work & Careers department in FT editorial. There are currently seven major data collection exercises per year, the biggest being the FT Global MBA rankings, which publish in January. The rankings tables are published alongside associated editorial content and are some of the FT’s most-read content. We are seeking candidates who have ideally worked in a business school or who have worked with or analysed school rankings. You may, for example, have worked in a dean’s office or in the marketing, alumni, public relations or rankings department of a business school, or for an organisation which compiles business school rankings. We are looking for expertise to execute a technical, methodological, communication and relationship management role. It involves developing and maintaining contacts with the business schools and answering queries from schools and from alumni and companies that commission bespoke courses. There may be optional opportunities to write editorial content for special reports, published alongside the rankings tables. The successful candidate will report to the Editor of Work & Careers, Isabel Berwick, and work closely with the Global Education Editor, Andrew Jack, the Business Education correspondent Jonathan Moules and statistical journalist Andrew Garthwaite. A key relationship will be with the existing rankings editor, whose focus is on project-managing a transition to new software and methodology for the FT rankings within a GDPR-compliant environment. As the central point of contact on the rankings team for external organisations, you will coordinate and take part in visits to business schools and arrange in-house meetings with deans and business school staff. Diplomacy and tact are key requirements. Liaise with relevant internal departments across the FT Group (Special Reports, Tech, data, legal and advertising) with regard to data collection, deadlines, graphics and publication. 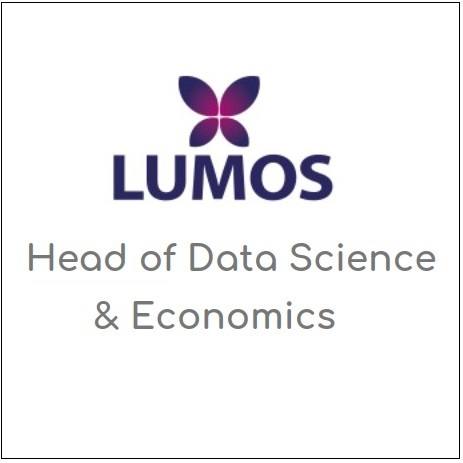 This is not a statistics role and does not require a relevant qualification - but you must be able to acquire technical knowledge quickly in order to ‘deep dive’ into the FT’s rankings methodology and data gathering techniques. You will be expected to have a firm understanding of all aspects of the operation in order to explain it to internal and external stakeholders and troubleshoot problems. You will be proactive in terms of communication with schools around the world and develop close links, by email, phone and in person. You will coordinate with the Business Education team and help collect and process feedback as well as managing the schedule to ensure communications go out on time. You will have excellent spoken and written English. Additional languages are a bonus as the rankings teams deals with schools worldwide. This includes looking at the structure and language used in the surveys and optimising individual questions. You will be expected to attend conferences and seminars on rankings and business education to represent the FT.
All staff are welcome to apply for Editorial vacancies as part of a flexible working arrangement. If you believe this role can be managed part-time or as a job share then please provide details as part of your application. All proposals will be seriously considered. While approval will be conditional on the demands of the role and team, the FT is committed to being responsive to the needs of its staff and the different ways they may want to work. Applications should be made via Workday by 24 April 2019. Statistics Jobs, Data Science, Data Analyst & Statistician Jobs on StatsJobs.